Generous contributions from alumni, parents, and friends ensure that Swarthmore can continue to offer a world-class liberal arts education—and the opportunity for all qualified students to attend regardless of their financial circumstances. Swarthmore donors and volunteers are recognized each year in the Report of Gifts, now produced electronically to save money and natural resources. If the College has your email address, in the coming weeks, you will receive a message with a link to the July 1, 2010 to June 30, 2011 Report of Gifts on the College website. To protect your privacy, the report will not be accessible to Web search engines. If you’d like to receive the report and the College does not have your email address, please send it to alumnirecords@swarthmore.edu. 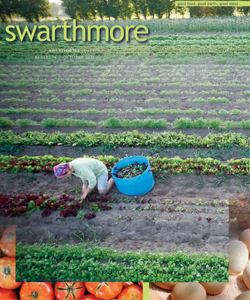 To receive a printed copy of the report, please send a request to giftreport@swarthmore.edu or call (610) 328-8568.